Study Island is an Internet-based learning system, which is designed to supplement the core education that children receive. Edmentum offers both a school- and home-oriented version of the product. The school edition lets educators integrate Study Island into their curriculum. Our focus in this review will be the version designed with parents in mind. The Study Island Home edition is automatically optimized for the standardized assessments used by the state in which you live, and the program can be geared toward helping a child catch up or allowing an advanced student to enhance his or learning in a number of ways. The base system of Study Island focuses on preparing children to score well on the assessment testing used by their particular state or province. Study Island supports all 50 states as well as Alberta, British Columbia and Ontario, and there more than 30 academics who work on this product by studying standardized testing in these regions and adjusting the curriculum accordingly. The program isn’t limited to this emphasis on standardized testing. All lessons incorporate in-depth how and why explanations. Many advanced topics beyond the standardized testing for a particular grade level are available. There are also many resources available, including external resources, that the child can explore. Edmentum lets you use Study Island at no cost and without obligation for 10 days. The trial provides truly full access to the system: all available subjects, all components and so forth. You do have to provide your credit card information and choose if you want monthly or annual billing up front. If you choose to cancel, you have to contact them via a toll-free phone number or by email. Edmentum has a good customer service track record, but we’d prefer an automated Web-based cancel option. Parents can opt for just math, just English language arts or all available subjects, which will vary based on your state but includes areas such as science and social studies. After selecting your state, you can opt for either monthly or annual billing. Annual billing does offer a significant discount, which will easily cover the summer months when you may use the system less often. If you have multiple children in school, you can choose a family license, and that will provide you with accounts for up to five children at less than what it would cost for two children under the single-license pricing structure. For most customers, all subjects for one child will cost $120 a year or $15 a month. For up to five children, the cost of all subjects is $200 a year or $25 a month. Study Island is a highly effective and refined approach to education, which has received numerous accolades and rewards. The pricing seems reasonable, and the discount for those of us with multiple school-age children is a big plus. The carrot of having video-game-style achievements and badges is quite effective in our experience. Progress is quantified for the child, and that often makes them more eager to want to learn and explore to aspects the system. Study Island is also very user-friendly. Most children will be able to and will even want to use this program on their own. Parents will provide guidance as needed, of course, but you don’t have to give it constant attention and less as the child ages. Try Out Study Island Here! 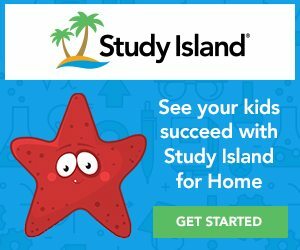 Let our visitors know what you thought of Study Island! Leave a review further below! Visit http://www.academicgames.org and learn more about the Academic Games National Tournaments. mindmapinspiration.com is a wonderful, free, and child-friendly resource that provides safe, creative, and inspiring mind maps.